1. Dion M.F., Kaplan T., Kim M., Buratowski S., Friedman N., Rando O.J. Dynamics of replication-independent histone turnover in budding yeast // Science. 2007. Vol. 315. N 5817. P. 1405–1408. 2. Kireeva M.L., Walter W., Tchernajenko V., Bondarenko V., Kashlev M., Studitsky V.M. Nucleosome remodeling induced by RNA polymerase II: loss of the H2A/H2B dimer during transcription // Mol. Cell. 2002. Vol. 9. N. 3. P. 541–552. 3. Gaykalova D.A., Kulaeva O.I., Volokh O., Shaytan A.K., Hsieh F.K., Kirpichnikov M.P., Sokolova O.S., Studitsky V.M. Structural analysis of nucleosomal barrier to transcription // Proc. Natl. Acad. Sci. U. S. A. 2015. Vol. 112. N. 43. P. 5787– 5795. 4. Pestov N.A., Gerasimova N.S., Kulaeva O.I., Studitsky V.M. Structure of transcribed chromatin is a sensor of DNA damage // Sci. Adv. 2015. Vol. 1. N. 6. e1500021. 5. 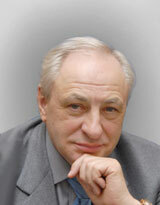 Kulaeva O.I., Gaykalova D.A., Pestov N.A., Golovastov V.V., Vassylyev D.G., Artsimovitch I., Studitsky V.M. Mechanism of chromatin remodeling and recovery during passage of RNA polymerase II // Nat. Struct. Mol. Biol. 2009. Vol. 16. N 12. P. 1272–1278. 6. Murakami K.S., Darst S.A. Bacterial RNA polymerases: the wholo story // Curr. Opin. Struct. Biol. 2003. Vol. 13. P. 31–39. 7. Luger K., M der A. W., Richmond R. K., Sargent D. F., Richmond T. J. Crystal structure of the nucleosome core particle at 2.8 Å resolution // Nature. 1997. Vol. 389. N 6648. P. 251–260. 8. Kudryashova K.S., Nikitin D.V., Chertkov O.V., Gerasimova N.S., Valieva M.E. Studitsky V.M., Feofanov A.V. Development of fluorescently labeled mononucleosomes for the investigation of transcription mechanisms by single complex microscopy // Moscow Univ. Biol. Sci. Bull. 2015. Vol. 70. N 4. P. 189–193. 9. Karlova M.G., Volokh O.I., Chertkov O.V., Kirpichnikov M.P., Studitsky V.M., Sokolova O.S. Purification and concentration of RNA polymerase on Ni-lipid monolayers // Russ. J. Bioorg. Chem. 2017. Vol. 43. N 6. P. 637–643. 10. Gaykalova D.A., Kulaeva O.I., Bondarenko V.A., Studitsky V.M. Preparation and analysis of uniquely positioned mononucleosomes // Methods in Molecular Biology. Vol. 523. Chromatin Protocols / S.P. Chellappan. Humana Press, 2009. P. 109–123. 11. Kelly D.F., Abeyrathne P.D., Dukovski D., Walz T. The Affinity Grid: a pre-fabricated EM grid for monolayer purification // J. Mol. Biol. 2008. Vol. 382. N 2. P. 423–433. 12. Walter W., Kireeva M.L., Studitsky V.M., Kashlev M. Bacterial polymerase and yeast polymerase II use similar mechanisms for transcription through nucleosomes // J. Biol. Chem. 2003. Vol. 278. N. 38. P. 36148–36156. Чертков О.В., Карлова М.Г., Герасимова Н.С., Соколова О.С. ОЧИСТКА ЭЛОНГАЦИОННЫХ КОМПЛЕКСОВ РНК-ПОЛИМЕРАЗЫ ДЛЯ ИЗУЧЕНИЯ МЕТОДОМ КРИОЭЛЕКТРОННОЙ МИКРОСКОПИИ. Вестник Московского университета. Серия 16. Биология. 2018;73(3):173-177.